The first post I made of the Japan trip suggested I would EVENTUALLY post more photos and tie up some loose ends. One of them was of this black pine that took me a long day of wiring with a shifted apex (there is an iron rod up in that foliage that you can’t see very well). The second shot shows it propped up at it’s new inclination in the display greenhouse. 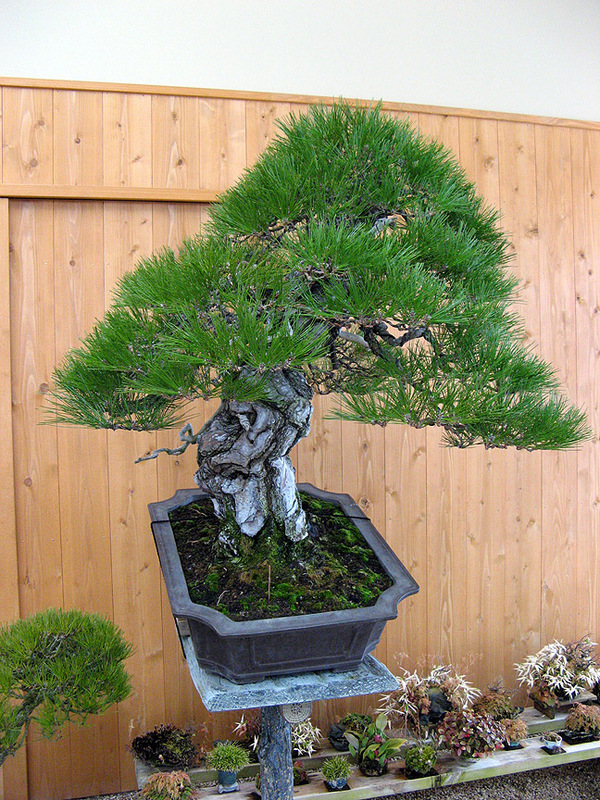 Black pine at the original front, before restyling. Among the problems from this front are lack of good bark, poor movement, and a large wound probably from a removed root. This tree was more than a yard high, something shy of four feet I think. 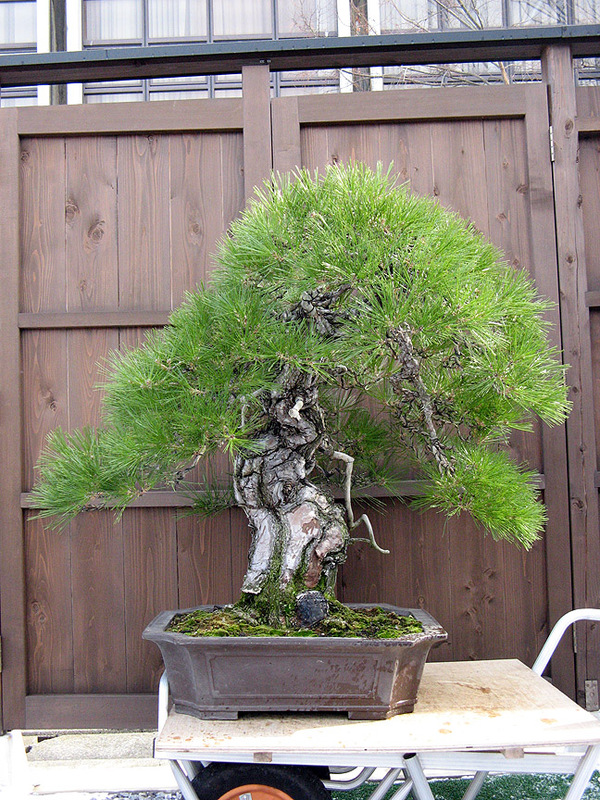 Black pine after styling, tipped up on it's post, from the new front, about 100 degrees to the left.